Spreading illumination and enlightenment? When the year grows dark, it's time to shed some light on your community. 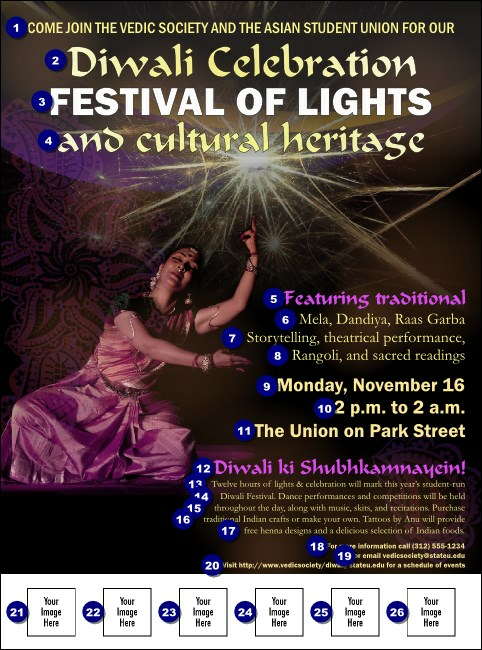 If you're celebrating the Festival of Lights, this colorful Diwali Logo Flyer, featuring a sky full of fireworks and a costumed dancer, is a lovely way to start the celebration in safety and style. Share your dreams with TicketPrinting.com!